Set amidst the cliffs and beaches of southern Bali, the hotel features 475 guest rooms, iconic suites and exclusive villas, five dining venues, and a Cigar & Shisha Lounge. 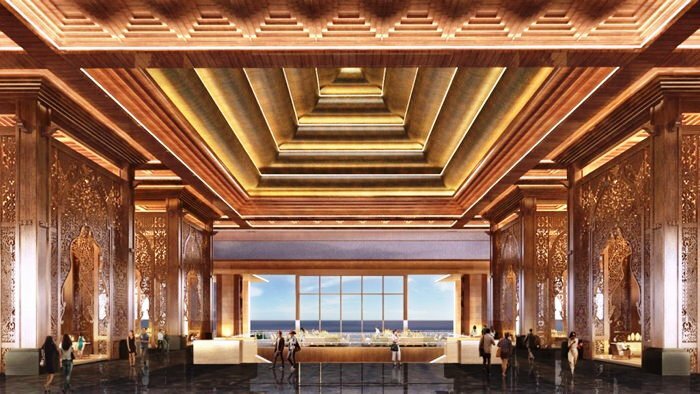 Kempinski gears up to unveil the latest addition to its line of hotels with the opening of The Apurva Kempinski Bali in the fourth quarter of this year. “We are excited to welcome The Apurva Kempinski Bali and add this iconic property to our hotel portfolio. From its unique architecture to artfully curated interior design, The Apurva Kempinski Bali will present itself as a majestic open-air theatre in which the guests will have the opportunity to experience the wonders of this unique island.” says Michael Henssler, Chief Operating Officer Asia, Kempinski Hotels and Member of the Management Board. Set amidst the cliffs and beaches of southern Bali, the hotel features 475 guest rooms, iconic suites and exclusive villas, five dining venues, and a Cigar & Shisha Lounge. Facilities include an ocean-facing spa and fitness centre, a 60-metre swimming pool, kids pool, and a family club. For events, business meetings and weddings, The Apurva Kempinski Bali offers a 1,076 sq m pillar-free and ocean-view grand ballroom, meeting rooms, The Apurva beachfront wedding chapels, and 2,200 sq m ocean-front lawn for an exceptional outdoor gatherings and events. Award-winning architect Budiman Hendropurnomo of Denton Corker Marshall and highly -acclaimed interior designer Rudy Dodo of Trivium Design Group worked together in creating a curated design masterpiece. From the unmistakeable characteristic of Balinese architecture, landscape and guiding principle, to the Indonesian-inspired interior design aesthetics, the nation’s heritage and meticulous craftsmanship are thoroughly reflected throughout the hotel. “We are very excited about the upcoming opening of The Apurva Kempinski Bali. We have meticulously researched and worked with artisans to assemble the best of Indonesian craftsmanship, sharing with the traveller the richness of the destination’s cultural heritage. We trust that Kempinski will strengthen our vision in delivering an elevated interpretation through personalised local experiences”, adds William Katuari, President Director of Wings Group and the hotel’s owning company.